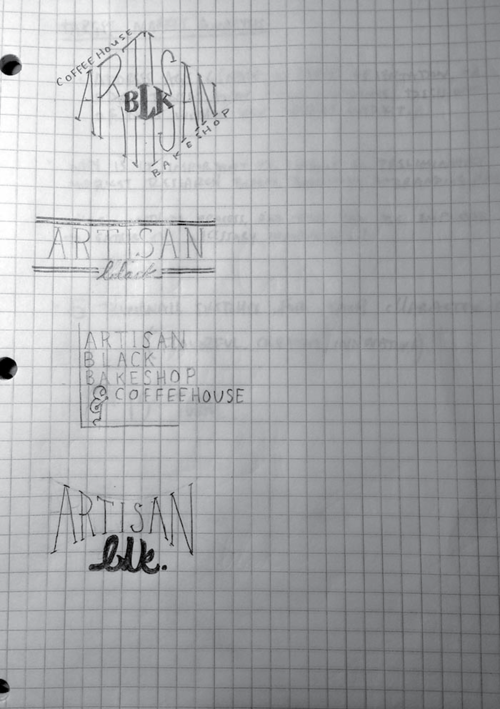 These are the various logo interpretations that I went through before narrowing down the one's that stood out the most, in defining this brand. As you can see, the final marking was narrowed down to the logo on the first page, second column - second one down. It was a mark that could be used on various pieces from their website down to print materials such as coasters, mugs, and menus. I felt the circle helped tie together the name of the company along with what they provide - which is a great cup of coffee, cold brew, and tea. You can hardly go wrong with a circular form! 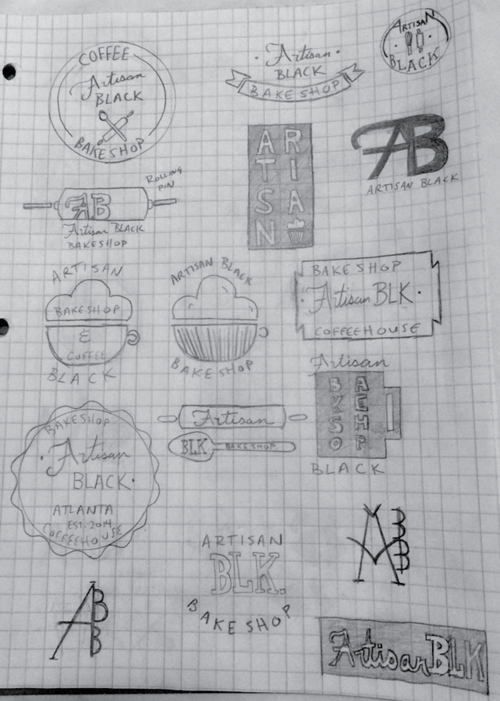 There's also a wordmark along with another iteration of the circular logo that can be seen on the main portfolio page for Artisan Black.